WOW!! 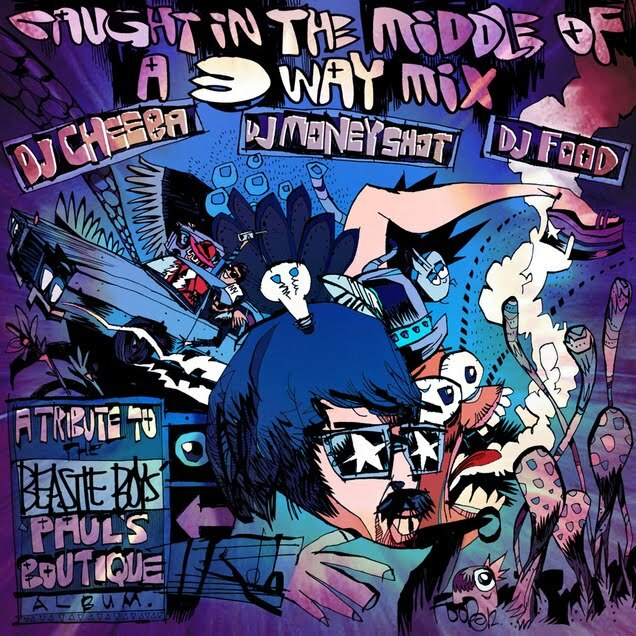 So basically, if my understanding serves me correctly, 3 British DJs (Food, Cheeba, and Moneyshot) spent the past 3 years finding the original samples from the Beastie Boys' classic "Paul's Boutique" album using "all the original samples plus a cappellas, period interviews and the Beasties’ own audio commentary from the reissued release." Crazy. Just like this project whose cover is done by the illustrious, FoodOne/Jim Mahfood. Learn more HERE or by reading the description in the soundcloud link below.